Provide close-to-work convenience and immediate accessibility. 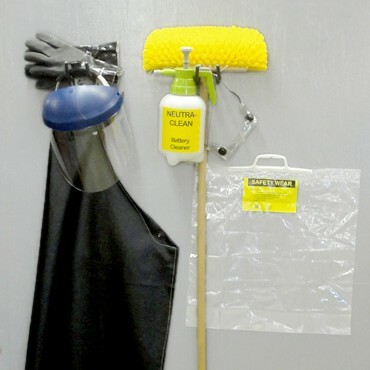 Helps to eliminate any delay in obtaining complete 15 minute decontamination. Use directions are permanently printed on each wall station. 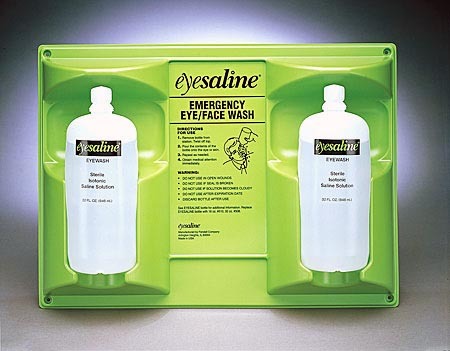 Wall Station is highly visible fend-all Eyesaline® green. Twist-off tabs – no seals to remove, no leaking caps. 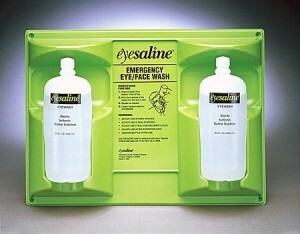 Absence of the twist-off tab top provides visible notification that product has been used or tampered with. Expiration date printed on containers. 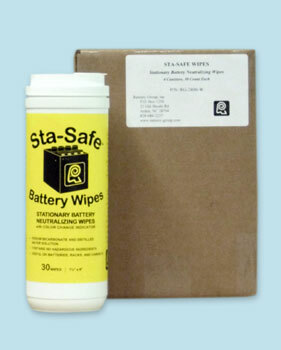 Properly neutralized and cleaned batteries perform better and last longer.